Capture the base is one of several mini-games offered to the player. This game focuses on capturing visibly marked locations while preventing enemies from doing the same to your locations. Players will be provided unique items for gameplay purposes while playing inside model landmarks, such as the Twickenham Stadium. Upon entering the Minigame world, players will be transported to the scale model of the UTD Trellis. 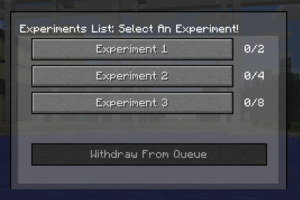 To enter into the queue for a minigame, players can press the "X" key. Currently, there is no way to unmap/remap this key ingame. From here, players can navigate these menus with the mouse to choose which minigames to participate. 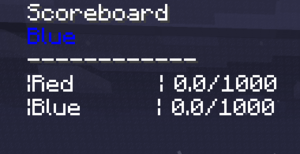 Players can see the participant numbers for each queue alongside the required player number to start the game. Once players have entered the queue, players are automatically assigned a team. When there are enough players in the queue, the minigame will start and participants will be automatically teleported to a waiting area. Players can consider strategies and discuss with the teammates while the timer counts down. After a brief waiting period, the game will start. Players will be teleported down into the playing field before given a short countdown. A scoreboard will appear on the screen, which updates as each teams gains points. Teammates will have helmets with the same color, to help with identification. In order to win these events, players need to control as many bases as possible. Points are awarded for capturing and controlling bases, as well as purging enemy bases and returning them to neutral status. Players are supplied with a stick that can knock back enemies. Other weaponry, such as knockback bombs and tools, such as pogo-sticks, can be crafted from resources scattered across various chests around the map. The game consists of two halves, each one lasting 5 minutes. After the first half, players will be frozen in place with an opportunity to re-evaluate strategies for a duration of 2 minutes. After this is over, the game will continue, beginning the second half. After the second half is complete, the team with the highest score wins. Each base captured will earn 50 points upon capture. Each base reset back to neutral will earn a team 200 points. Each base controlled will earn 5 points per second. Players will be automatically teleported back to UTD after the game ends and told which team won. This page was last modified on 18 December 2018, at 23:32.